Richard is a partner in the Commercial and Private Client Litigation team specialising in commercial and intellectual property litigation and dispute resolution. He undertakes cases in the County Court, High Court and Court of Appeal in England & Wales and is an experienced advocate appearing at hearings in the County Court, Intellectual Property Enterprise Court and the High Court. A significant proportion of Richard’s work involves high value commercial and intellectual property disputes, often with an international element. He has handled cross border cases involving litigation in Spain, France, Germany, Switzerland, the Netherlands and the US. He is often sought out to provide commercial legal advice to clients because of his wide litigation experience across a number of industry sectors. He is a keen supporter of mediation and alternative dispute resolution. Richard joined Clarke Willmott as a partner in August 2014 having practiced previously at Geldards, Mills & Reeve and Dibb Lupton Alsop following his qualification as a solicitor in 1998. He is also an Associate of the Chartered Institute of Arbitrators and a member of the Procurement Lawyers’ Association. He attended the University of York, University of California (EAP Scholarship) and Cardiff Law School. Before qualifying as a solicitor he worked at US investment bank, Chemical Bank (now part of JP Morgan Chase) and financial services company, Friends Provident plc. Acting on behalf of a clinical waste disposal company against a £7 million public contract award by six English NHS Trusts to an industry rival for the provision of clinical waste disposal services. The action concluded in the Technology & Construction Court with judgment being entered against all of the NHS Trusts. Orders for damages and costs made in the claimant’s favour. Acting on behalf of a group of Italian investors in respect of a breach of contract and indemnity claim involving companies domiciled in Hong Kong arising from a business investment. To date the case has involved obtaining a Stop Notice and a Stop Order in the High Court in London to prevent the unlawful disposal of shares in a third party company domiciled in the UK which have been secured by equitable charges. Acting on behalf of the claimant, a UK leisure business, in expedited proceedings in the Patents Court against a Dutch company and its managing director concerning a patent dispute and a claim for groundless threats. Judgment was entered on behalf of the claimant on all of its claims. The defendant’s patent was revoked. Orders for damages and costs were also made in the claimant’s favour. Acting on behalf of a number of business buyers and sellers in warranty claims arising from share purchase agreements and deferred consideration payment disputes. Acting on behalf of a wide range of businesses in intellectual property disputes with successes against intellectual property infringers including Groupon UK, Groupon Goods Global GmbH, B&M Retail Limited, Home Bargains and Gift House International. (1) EPI Environmental Technologies Inc. & (2) EPI Environmental Products Inc. v (1) Symphony Plastic Technologies plc & (2) Symphony Environmental Products Limited  EWHC 2945,  FSR 22,  1 W.L.R. 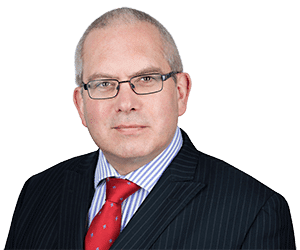 3456,  I.P.D 28016,  102(7) (Chancery Division) &  EWCA Civ 3 (Court of Appeal) – alleged copying of trade secrets and breach of confidence (degradable plastics additives). (1) Bayer CropScience KK & (2) Bayer CropScience AG v (1) Ki-Hara Chemicals Limited & (2) McColl  EWHC 1087,  Agribusiness Intelligence, 30 July,  Agri-Marketing, 30 July,  Chem Europe, 31 July &  Agri-Business Global, 31 May (Patents Court) – patent infringement & personal liability of company director as a joint tortfeasor (insecticides). Hailes v Hood & Others  EWHC 1616,  The Lawyer, 21(41) (Chancery Division) – limited liability partnership dispute (stockbroking partnership). Baker v HMRC  UKFTT 394,  S.T.I. 3162  S.T.I. 3244,  Accountancy 2013, 151 (1441),  Tax, 172 (4423),  Tax Journal 2013, 1182, 8 (Tax Tribunal) – interaction between s.143(2) Companies Act 1985 and s.209(2)(b) Income & Corporation Taxes Act 1988 (successful appeal against an HMRC income tax assessment). (1) William Mark Corporation Inc. & (2) China Industries Limited t\a “Wow! Stuff” v Gift House International Limited  EWHC 2485,  CIPA Journal 43(11),  Toy World Magazine, 29 August &  Toy News, 29 August (Intellectual Property Enterprise Court) &  EWCA Civ 521 (Court of Appeal) – patent infringement & registered community design right infringement (remote control aerial toys). (1) William Mark Corporation Inc. & (2) China Industries Limited t\a “Wow! Stuff” v B&M Retail Limited  CC12PO3924,  Toy World Magazine, 13 September &  Toy News, 13 September (Intellectual Property Enterprise Court) – patent infringement & registered community design right infringement (remote controlled aerial toys). Icescape Limited v (1) Ice-World International BV (2) Ice-World UK BV & (3) Bottema  EWHC 42 (Patents Court) – patent infringement, groundless threats, publication orders, director’s personal liability and patent revocation (temporary ice rinks).